One game and done, thanks for playing, Cubs and Athletics. One of the games (National League) went the way of my rooting interest, the other (American League) did not. One of the games (National League) was tight and compelling, the other (American League) was not. In terms of who I want to see win, which is different than who I expect to win, we're running out on AL teams. I am habitually unwilling to root for the Yankees, and the Red Sox fan base has become almost as insufferably entitiled. The Astros damaged themselves in my eyes by trading for Roberto Osuna while continuing to declare themselves to have "zero tolerance" for abusers. That leaves Cleveland, to whom I have no real objection other than that they play the Twins 18 times a season. That's why I really wanted to see the A's knock off the Yankees Wednesday. Didn't happen, of course, and I saw the jeering on social media over the failure of opener Liam Hendriks (former Twin). Yep, the tactic didn't work that night for Oakland. I guess they should have started their Cy Young candidate. That last was, to be clear, sarcastic. The A's pitching staff is emphatically bullpen-heavy. 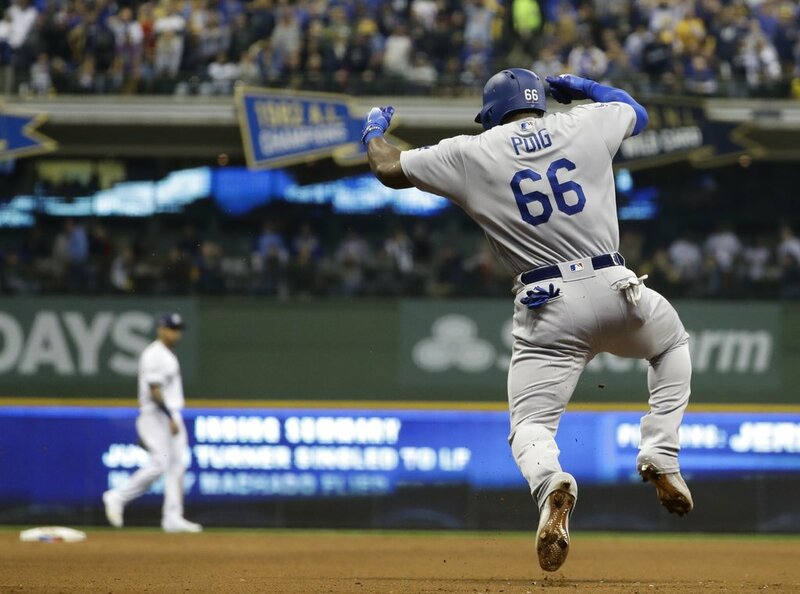 Hendriks and, later, fellow former Twin Fernando Rodney, didn't get it done. So now its Yankees-Red Sox -- 100 regular season wins vs. 107 in one ALDS -- and Astros-Indians in the other. It should be good baseball; the only problem is, I want everybody to lose. I also want both teams to lose in the Dodgers-Braves NLDS, the Dodgers on basic rooting principles and the Braves because their ownership, with the connivance of the government of Cobb County (sururban Atlanta), essentially defrauded the taxpayers of that county to get their new stadium. On the other hand, at least somebody will emerge from the Rockies-Brewers series I can root for. But know this: Every team in the AL field (including Oakland) is probably better than any team in the NL field (including Chicago). It's easier to fire the manager than to fire 25 players. The Twins might spend a lot of this offseason doing both. Starting with Paul Molitor, relieved of his managerial duties Tuesday. Not everything that went wrong for the 2018 Twins can be fairly blamed on the manager. It's not on Molitor that Ervin Santana's finger didn't heal with an offseason of rest or recover from surgery. Nor is it his fault that Jorge Polanco got busted for steroids or that Jason Castro's knee gave way. But ... this was a team with the highest payroll in club history, it was expected to contend, and it didn't. The fielding was poor and the baserunning worse. And, perhaps most crucially, the young core at the heart of the roster did not develop. Even Eddie Rosario and Jose Berrios only duplicated their 2017 performances. The Twins enter this offseason far less certain of what they have than they were a year ago. Dumping Molitor was always a possibility once Terry Ryan was ousted as the head of the Twins baseball operations. 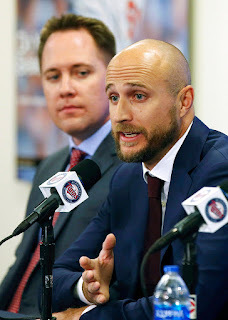 Molitor was forced on the front office duo of Derek Falvey and Thad Levine two offseasons ago; now they get to hire a manager of their own choosing. Still, I was a bit surprised at the news Tuesday. Not only did Molitor still have two years left to run on his contract, he seemed -- with the possible exception of whether Polanco is a bona fide shortstop -- to mesh well with their new front office's analytic bent. The Twins on Tuesday also dismissed their longtime major league strength and conditioning coordinator and a number of minor league coaches. It seems likely that there will be further changes on the major league staff. Slowly but surely, the Ryan-era figures -- players, managers, coaches -- are giving way to the new regime. In some cases, it seems, they are being ousted simply because they were there when the new guys showed up. That may not be fair, but that's pretty routine around baseball. We're just not used to that in Minnesota. The Twins have in recent years maintained rather stable minor league affiilations, but Double-A has been the exception. That, they presumably hope, is about to change. On Monday it was announced that Minnesota would affilate with the Pensacola (Fla.) Blue Wahoos of the Southern League. They had been paired with the Chattanooga Lookouts in the same league, but that connection ran out at season's end and the Lookouts reunited with Cincinnati. I'm not sure if Cincy or Atlanta is the dominant major league team in that part of Tennessee, but my guess is that there are considerably more Reds fans around "Nooga" than Twins fans. So this probably makes some economic sense to the Lookouts ownership. a location theoretically more convenient to their high A farm team and spring training complex in Fort Myers. Well, it's in the same state, but it's at the west end of the Florida panhandle. It might be easier to sail to Pensacola from Fort Myers than drive. This will be the Twins third affilation in Double A in six years. Minnesota has a reputation for really good relationships with its affiliates, but that rep was earned during the Terry Ryan years, and the people responsible for building those relationships are pretty much gone now. Still, I would expect the Twins would want to have a long connection with Pensacola because of Point No. 1 above. after a concussions forced him to abandon the position. The final day of the regular season is always one of the saddest of the year for me. Some years I'm eager for the postseason, but even in those years I know I'll miss the rhythm of the schedule -- and winter is coming. 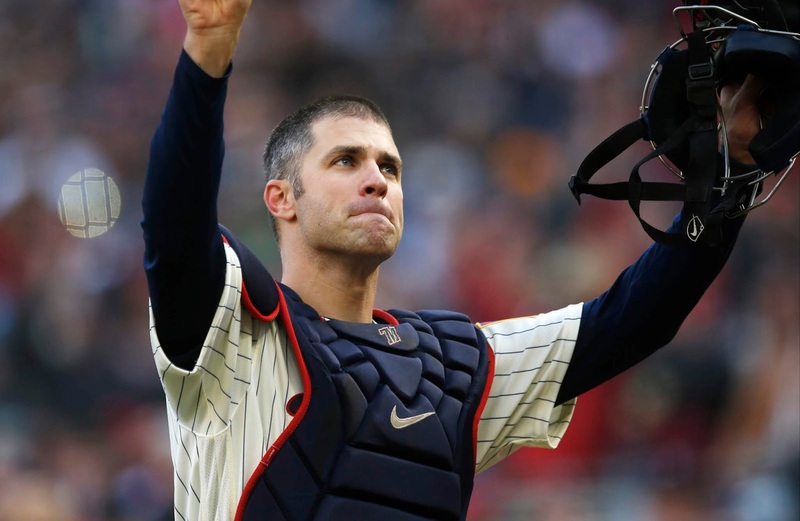 On Sunday we got a glimpse of how much Joe Mauer misses being a catcher. His postgame description of having put the gear in a bag five years ago and never opening it until Saturday night, when he put it on over his clothes -- that helped explain the tears as he stood on the field one more time in the "tools of ignorance" to receive one more pitch. I was unenthused about the stunt while it was happening, just as I frowned at the one-pitch return to third base by Jim Thome in 2011. But it clearly meant a lot to Mauer, and apparently to Mauer's family. It occurred to me in these past few days of trying to ferret out of Mauer's deeds and words what his intentions are that much may hinge on how he defines "Joe Mauer" to himself. If his first thought is "baseball player," it's a lot less likely that he'll retire than if it's "husband and father," and vice versa. Sunday made me wonder if "catcher" isn't still top shelf in his self-image, more than five years after he last caught a competitive pitch. And I wonder, too, if the theatrics the Twins worked into Sunday's game -- his daughters visiting first base for the usual Sunday kids starting lineup (which he didn't know about before hand), the one-pitch return to catching (which he had know about), the old promo commercials on the scoreboard -- if all that was intended to nudge Mauer in the direction of retirement. Mauer will decide what he deems best for himself. It's not for me to substitute my judgment for his. I expect him to walk away, but it's certainly plausible that he'll decide he wants to live baseball's rhythms at least one more season.